Three, 60-minute webinar sessions from 3:00pm–4:00pm Eastern Standard Time. Join Jennifer Serravallo—author of The Reading Strategies Book, The Writing Strategies Book, and other popular PD resources—in this special live webinar series! In The Reading Strategies Book Jen collects 300 strategies in support of thirteen reading goals with each strategy cross-linked to skills, genres, and reading levels. Ideal for use with reading workshop, Daily 5/CAFE, guided reading, balanced reading, a core reading program, or any other approach. In this webinar series, participants will learn to match methods to purpose throughout this school year as Jen guides you through assessing individual students' strengths and needs, leading goal setting conversations, and following up on goals with conferring and small groups. During each hour-long session, Jen will share practical and proven classroom strategies, provide video examples, and lead engaging live discussion. Also consider joining Jen on these same days in her companion Writing Strategies Webinar series from 4:15pm–5:15pm. Enroll for the Writing Strategies Webinar series here. 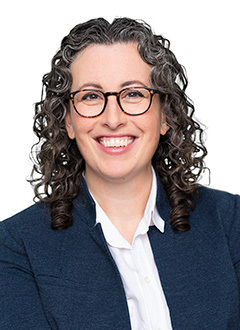 Jennifer Serravallo is a literacy consultant and a frequent speaker at state and national conferences. She is the author of A Teacher's Guide to Reading Conferences and bestselling books such as The Writing Strategies Book; The Reading Strategies Book; and Understanding Texts & Readers. Her other popular titles include Teaching Reading in Small Groups; and The Literacy Teacher's Playbook, Grades K-2 and Grades 3-6. Jen's forthcoming Complete Comprehension: Fiction and Complete Comprehension: Nonfiction will soon be released. She is also the author of multiple Heinemann on-demand courses, seminars, webinars, and workshops. Jen began her career in education as a NYC public school teacher and later joined the Teachers College Reading and Writing Project (TCRWP) at Columbia University. Through TCRWP, and now as an independent consultant, she has spent over a decade helping teachers across the country to create literacy classrooms where students are joyfully engaged and the instruction is meaningfully individualized to students' goals. Tweet her @jserravallo. Teachers of grades K-8, literacy coaches, principals, curriculum and instructional leaders. It is highly recommended that participants have a copy of The Reading Strategies Book. If you do not own a copy you may purchase one online here: The Reading Strategies Book.